Tour of Zvenigorod - "ringing city"
The town of Zvenigorod dates from the same period as Moscow, was founded by the same person - prince Yury - and sits on the banks of the same river. However, it became a peaceful provincial town with just 15k citizens compared to rich and mighty Moscow. The name “Zvenigorod” can be translated as “ringing town”. Although the town has a lot of churches, it in fact took its name not from bell ringing, but from the sound of crystal clear springs, streams and rivers. Pine trees, hills and rivers frame the town’s architectural treasures. 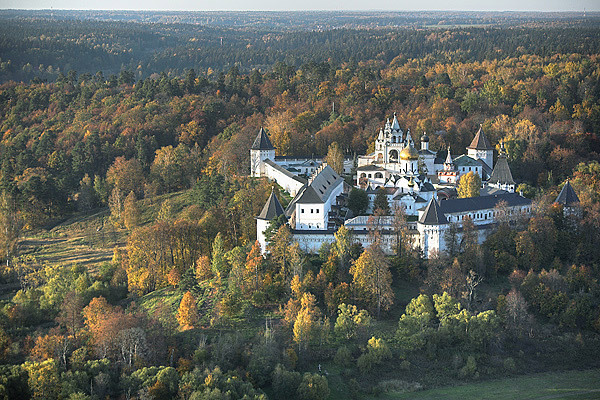 The Savvino-Storozhevsky monastery, founded by Saint Savva on Storozha Hill in the 14th century. The oldest church inside the cloister is 600 years old and represents a true masterpiece of early Muscovite architecture. In the 17th century the place became a royal residence and some impressive palaces were erected there. The Cathedral of the Assumption in Gorodok, which is located inside the former defensive walls of the medieval center of Zvenigorod. 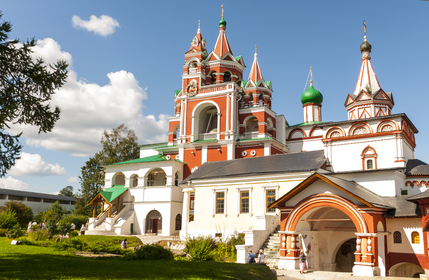 The Cathedreal features some frescoes by a renowned icon-painter Andrey Rublev. 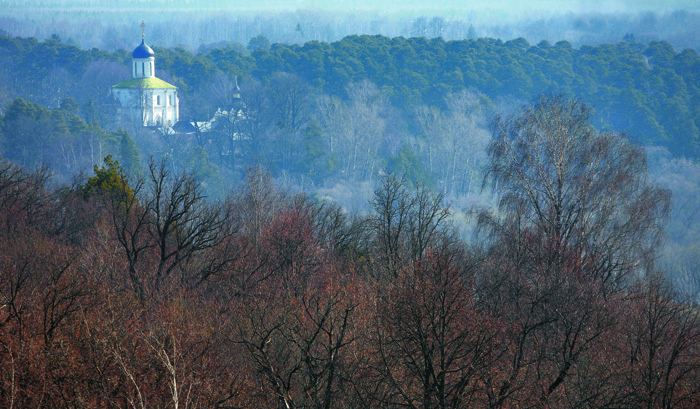 Zvenigorod’s harmonious mix of nature and architecture brings peace and inspiration to the soul. This day tour is also a chance to sample some of the joys and traditions of the orthodox faith, such as bathing in cold springs (+4°C) and tasting local bread and Kvass (a low alcohol beverage made with rye) prepared by the monks.